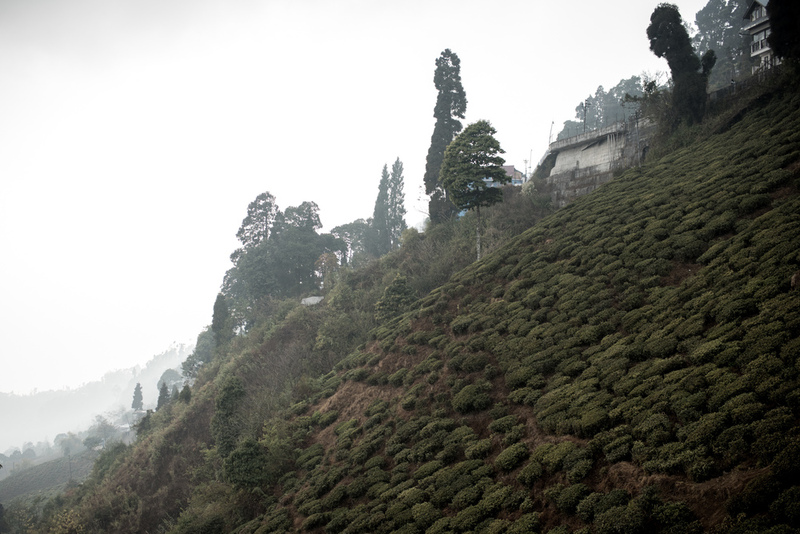 There is something about Darjeeling has a mystical appeal to Americans. As I worked to put together a list of dream places to visit while in India, Darjeeling rose up the list. Researching, it became clear it was not going to be quick and simple to get to from Kolkata. While planning the trip, I learned a close friend from college was starting a job in Bangladesh as we would be leaving India. As details came together, it became clear the timing would be perfect for us to travel together on an adventure to Darjeeling while Meghan was attending her conference in Kolata. To get to Darjeeling, we took the Darjeeling Mail train 10 hours from Kolkata to New Jalpaiguri Station (NJP). Departing Kolkata at 10pm, we slept most of the way to NJP, traveling in AC3 class, we got a pair of bunks in a berth of eight people, and arriving just after 8am. From there we knew we had to find a jeep to take us the rest of the way to Darjeeling. This was easier than expected, quickly getting an offer for in one of the many shared jeeps that act like busses/taxis to Darjeeling. We paid for four seats giving us the entire back row and allowing us to keep our bags with us rather then have them strapped to the roof. 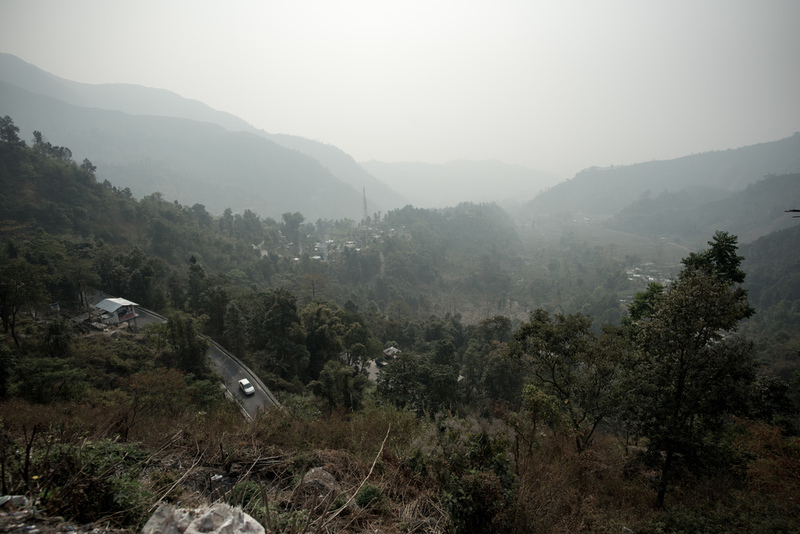 As we left New Jalpaiguri, making our way out of the city, the straight and flat road quickly tuned into winding switchbacks along steep hillsides. From NJP to Darjeeling we traveled only 70km, but gained nearly 6500ft of elevation in the three hour drive. Along the drive, each time we crested a pass, it felt as we must be reaching the top, but reach time a new, higher pass appeared through the misty clouds. The road was narrow and windy, but it was obvious these drivers did this every day and knew the worst of the countless corners by heart. Along the road most of the way were the narrow railroad tracks of the Darjeeling Himalayan Railway, a UNESCO World Heritage site. 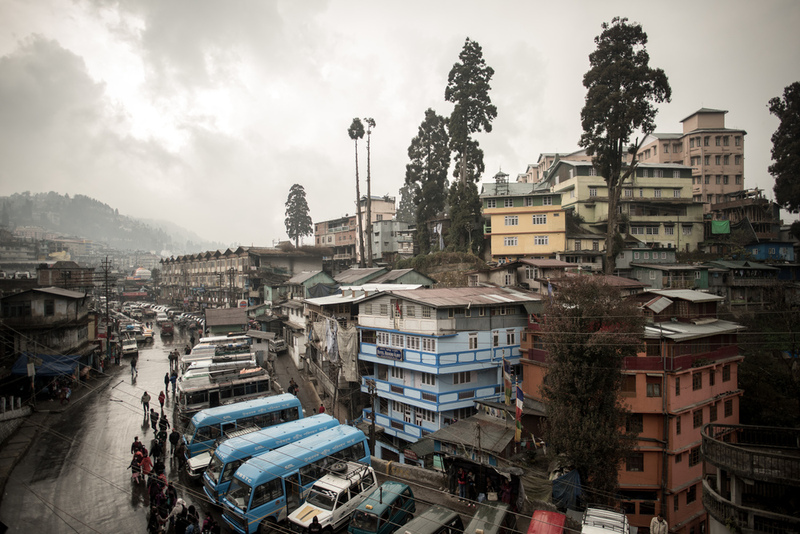 Darjeeling itself was a contrast to Kolkata. Here the building clung onto the hillsides, and as we began to walk around, we were happy to begin to find quieter areas with fewer people. 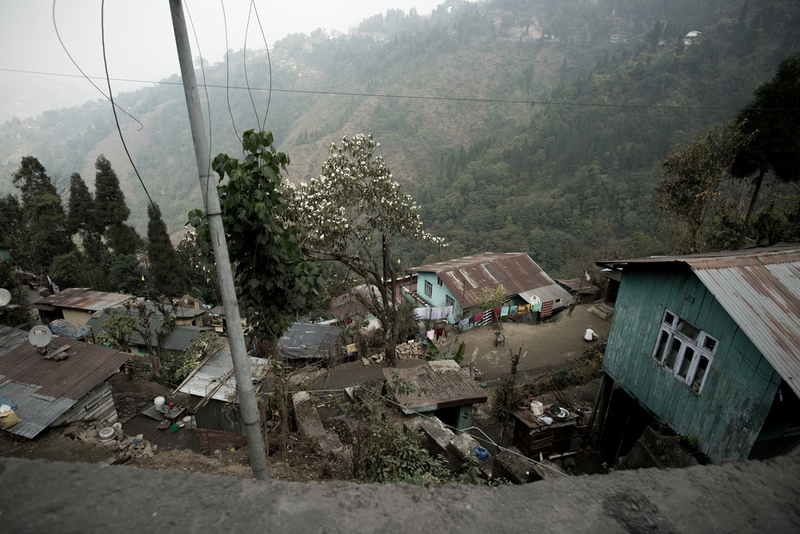 Our first afternoon in Darjeeling, we walked to Happy Valley Tea Estate, following a small street that narrowed to became just a dirt footpath. 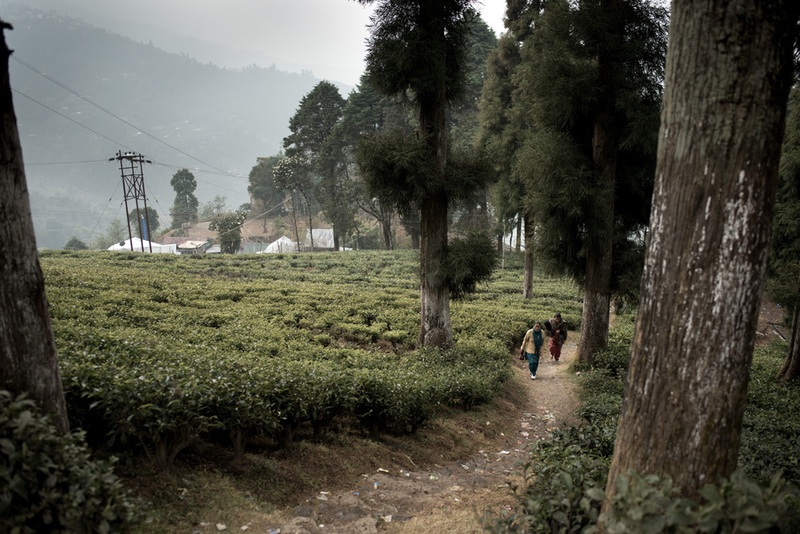 We passed through the tea gardens on the way to the processing facility. 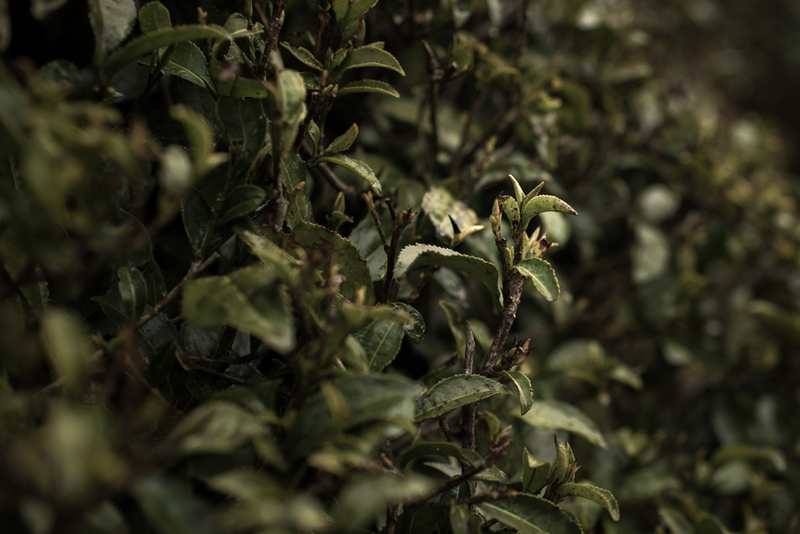 A short 30 minute tour taught me more about tea then I'd known ever before; from the picking and drying process, to the different qualities of tea picked at different times of the year. 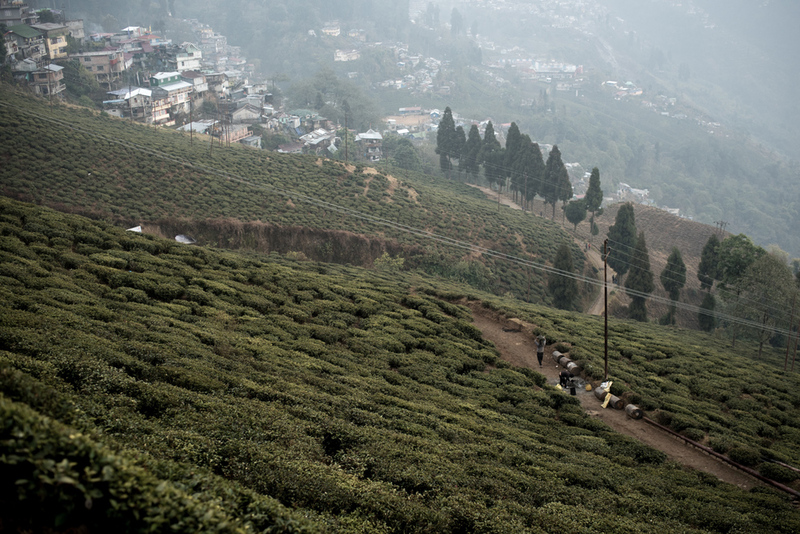 However, by visiting in February, we were in Darjeeling during the only 3-4 months of the year where they are not harvesting or processing any tea, but instead repairing machinery and fertilizing the gardens. Returning to the center of Darjeeling in a lightly misting rain, we visited the Elgin Hotel, a "manor house" from the 1880s. Every afternoon they serve tea in their gorgeous parlor. Escaping from the rain, we gratefully sipped the hot tea, not caring what tea and biscuits would cost in this luxury hotel. But as we went to pay, we were startled to be told, 150 rupees – less than $3 for the hour we enjoyed in this time capsule.